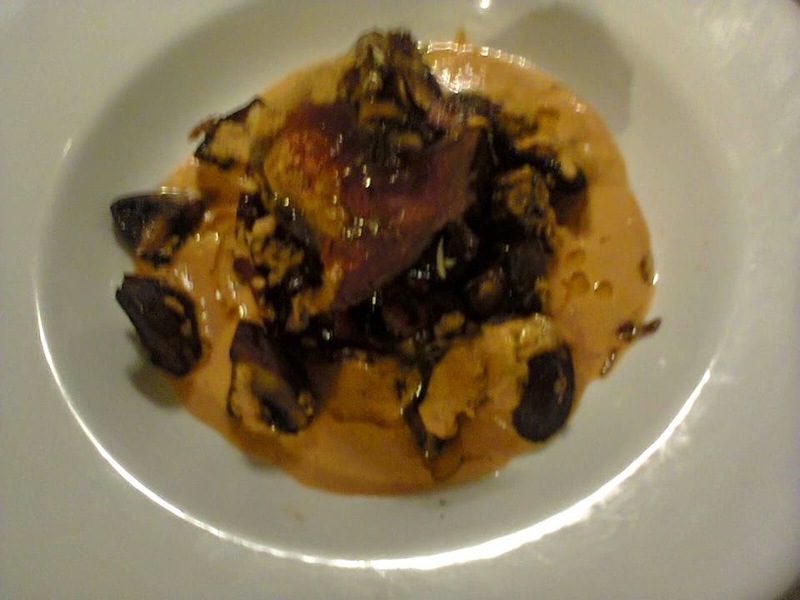 Seared pigeon breast in a beetroot juice and chicken broth with chestnut mushrooms, ginger, lemongrass, fish sauce and palm sugar. Garnishe with spring onion, grated radish, red onion, samphire and dehydrated rose petals. Designing dinner. 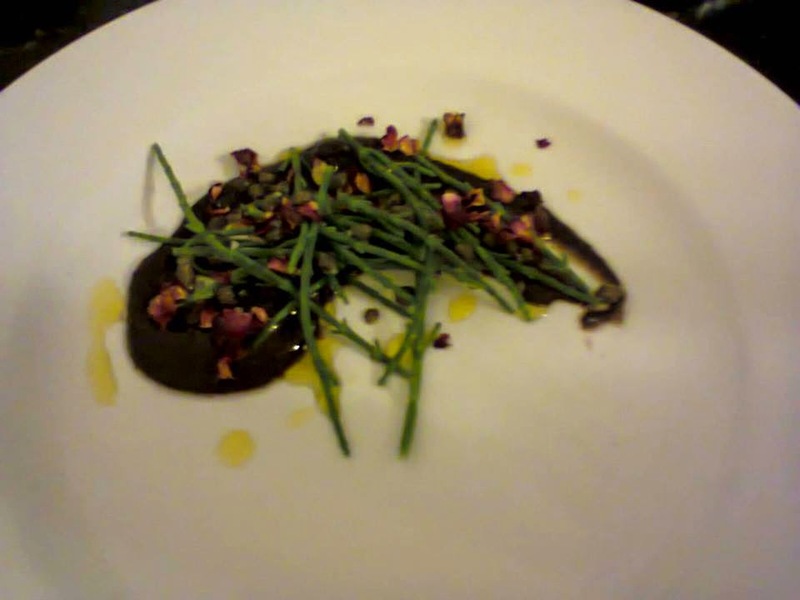 Hojiblanca olive, lemon and honey jam, samphire, Nonpareeille capers, Mr. Hughs extra virgin rapeseed oil and dehydrated rose petals. 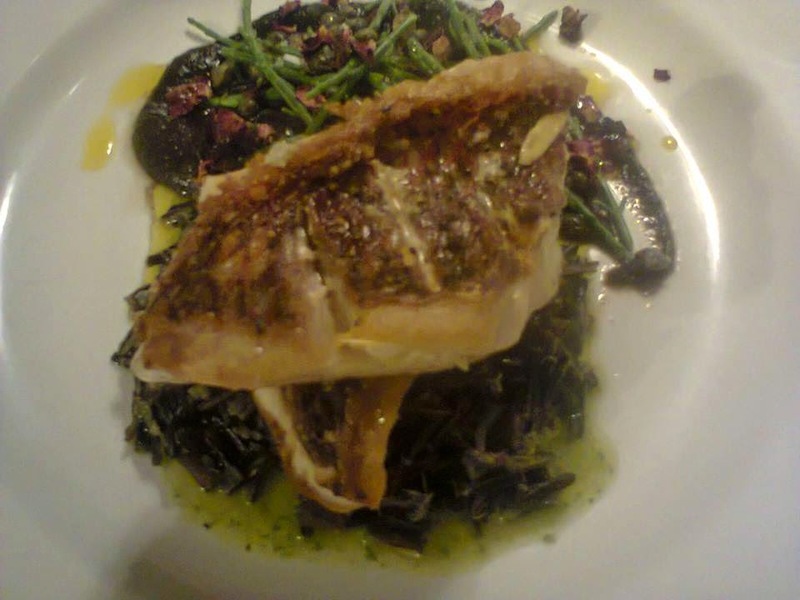 And the remainder of dinner comprises pan fried red mullet with wild rice, butter and dill. Clockwise rom the top. Tomato sauce with curry leaf, tumeric, blue poppyseed and brown mustard seeds. 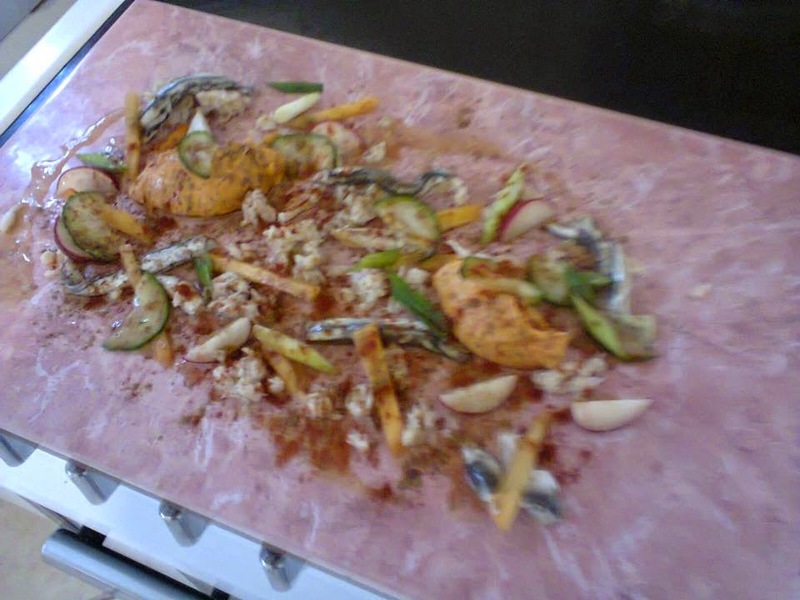 Salmon in a marinade of lemongrass, Indonesian sweet soy, garlic, fish sauce, palm sugar, sesame oil, spring onion and dill. Carrot and pink grapefruit gel. 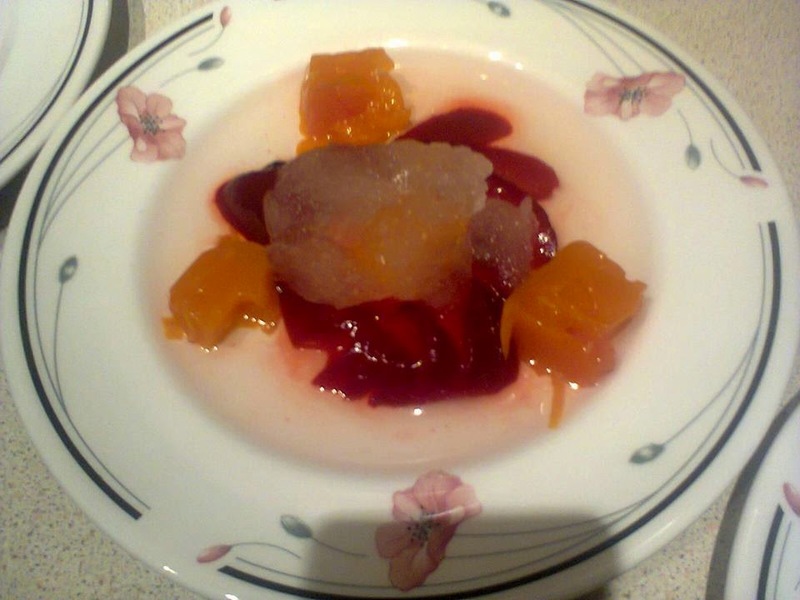 Pears poached in beetroot juice and passiofruit. 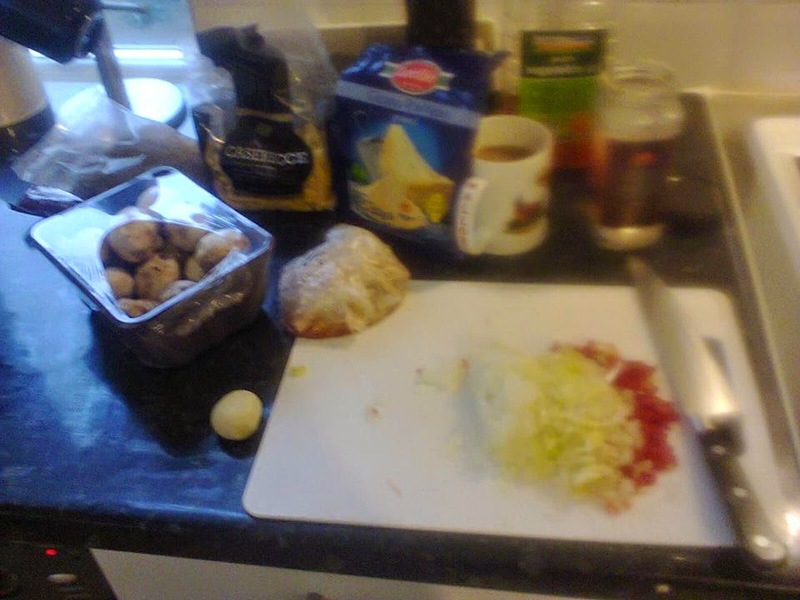 Just some elements of dinner that I'm making Mum And Dad for dinner tomorrow. 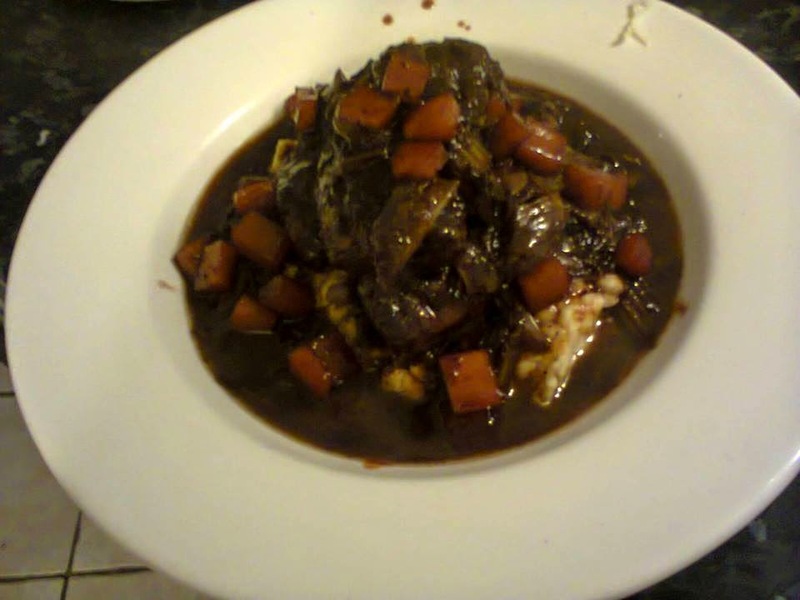 Lamb shoulder fillets braised in Brazilian Xingu black beer with mashed potato and swede cooked in carrot juice enriched with truffle butter. It's lunch time, so lets raid the fridge, the store cupboard and be creative and imaginative. 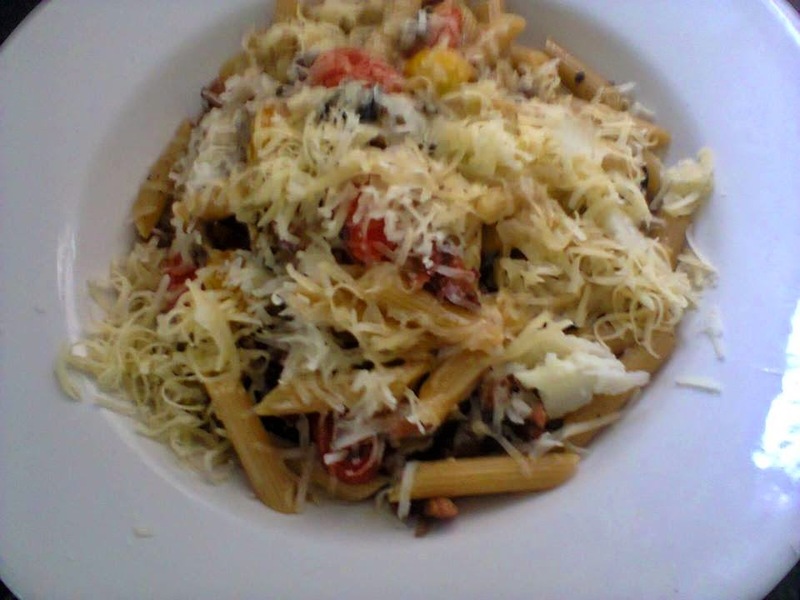 Penne pasta with cherry tomato, smoked bacon, Hojiblanca olives, chestnut mushrooms, comte and manchego cheese, walnut oil. Salmon marinated with Thai/ Vietnamese flavours ( featuring lemongrass, dill, fish sauce, sweet soy sauce and sesame oil ). 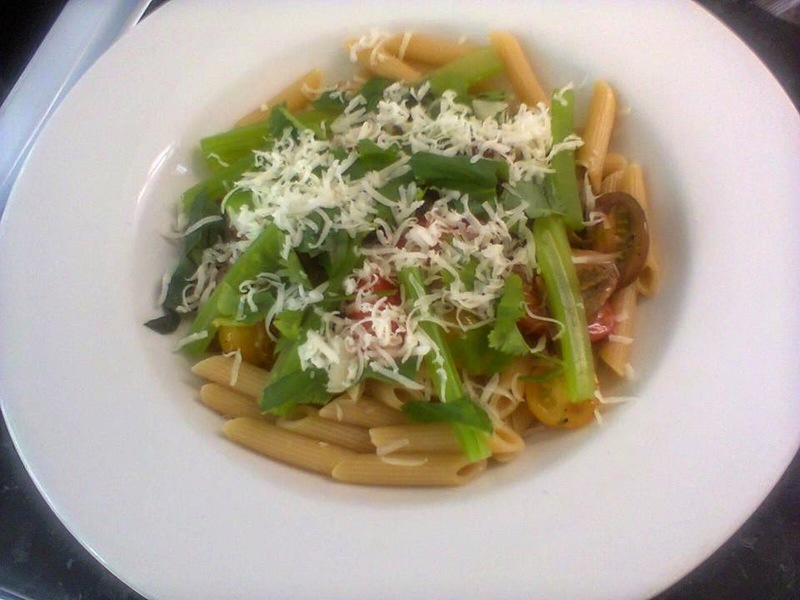 A tomato sauce with white wine, curry leafs, blue poppyseed and brown mustard seed. 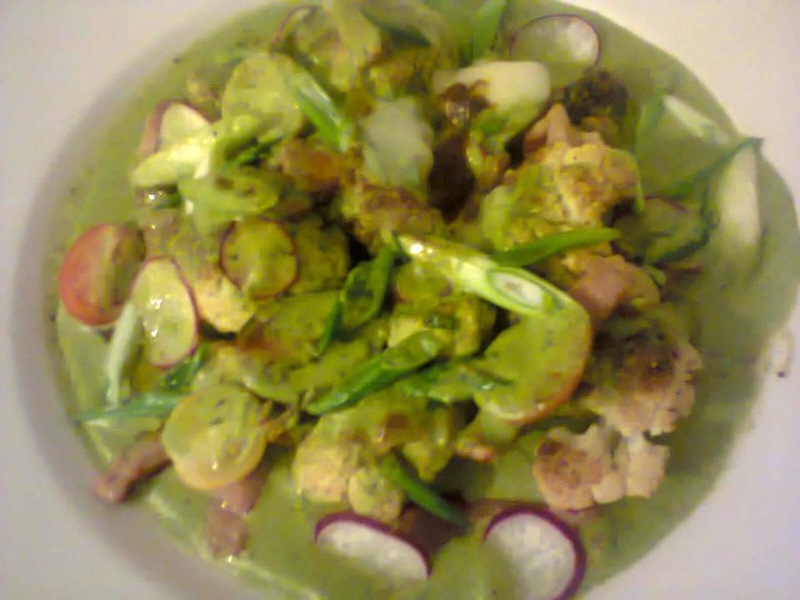 Garnished with samphire, spring onions and breakfast radish. The spring onion and radish being marinated in extra virgin rapeseed oil, maple syrup, mirin and rice vinegar. Conference pear poached in beetroot juice, passionfruit and jaggrey. 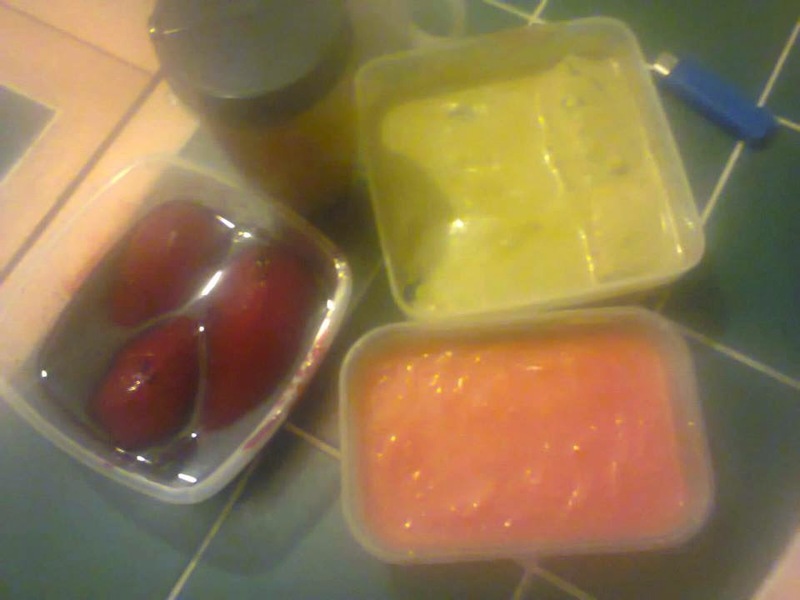 Carrot and pink grapefruit gel, frozen pina colada. 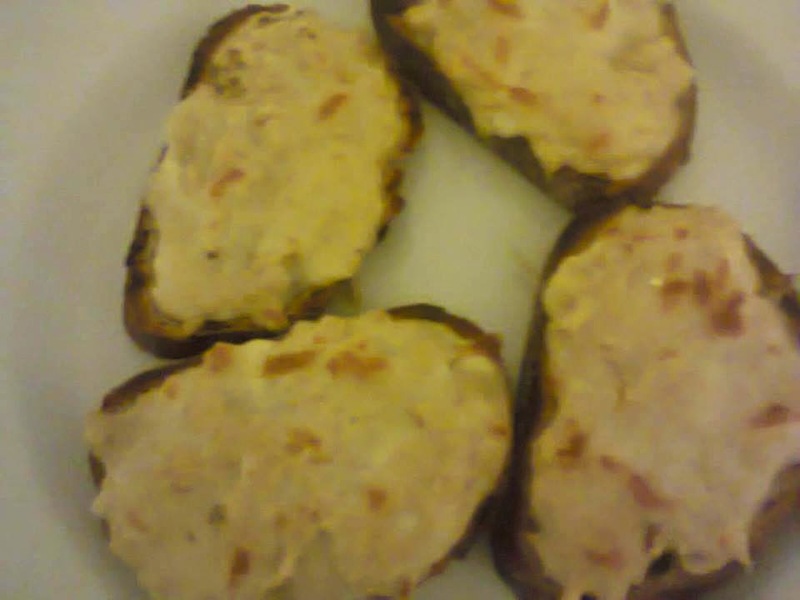 Crab and Cheese toasts. A blend of white crab meat, Dijon mustard, Montasio Fresco cheese, lemon juice and egg on mature cheddar and jalapeno bread. Seared breast of pigeon, garlic mushrooms, red onion and smoked bacon jam ( with white balsamic and black treacle ) & carrot gazpacho. The pigeon was bought from Wards Fish, Fishmonger, Game and Poultry Specialist. 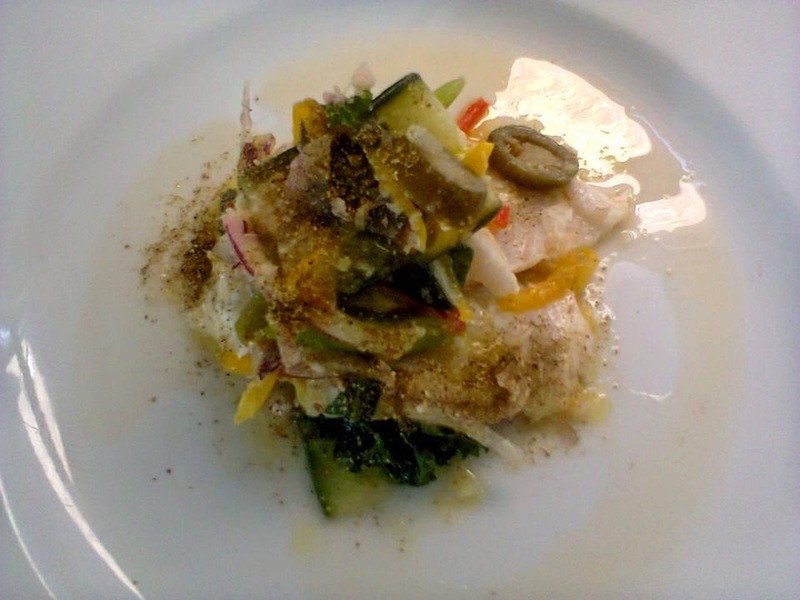 Smoked haddock in sweet white miso, pinot grigio and whole grain mustard. Accompanied by radish in walnut oil and smoked salt, Indonesian sweet soy sauce and crispy kale. 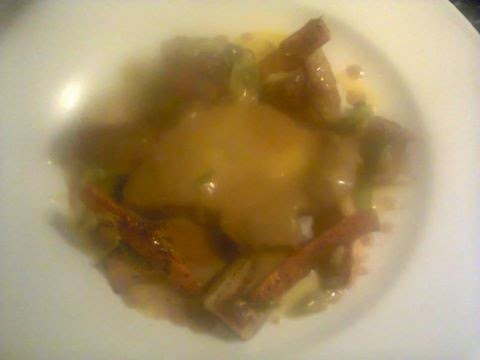 Beef braised in white zinfandel and lobster glace with a vegetable and white truffle butter puree. Aromatic potatoes ( cooked in mineral water with black garlic, black treacle, lemongrass, ginger, jalapenos and coriander ). Finished with togarashi. Well, lunch was fantastic. 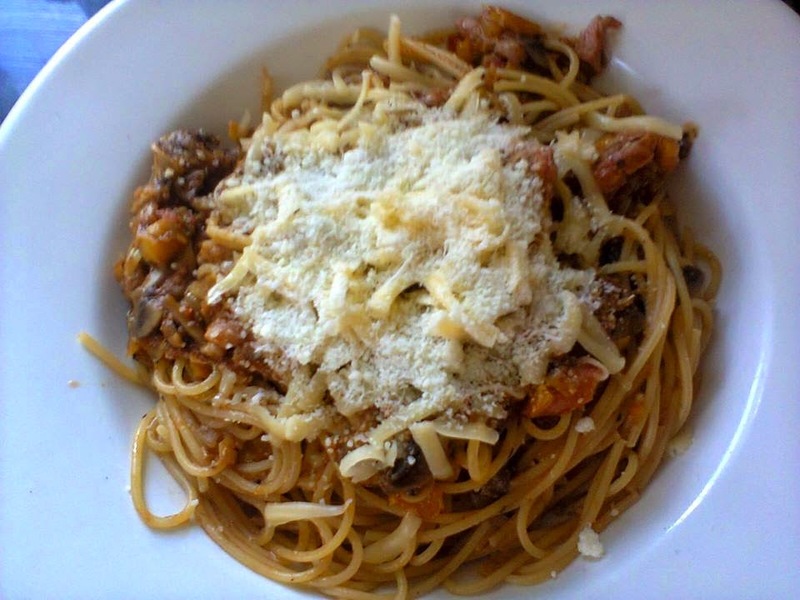 Spaghetti with olive oil, three types of tomato, garlic, fresh anchovies, salted capers and basil. And not forgetting the two cheeses, these being, Piave Vecchio and Montasio Fresco. 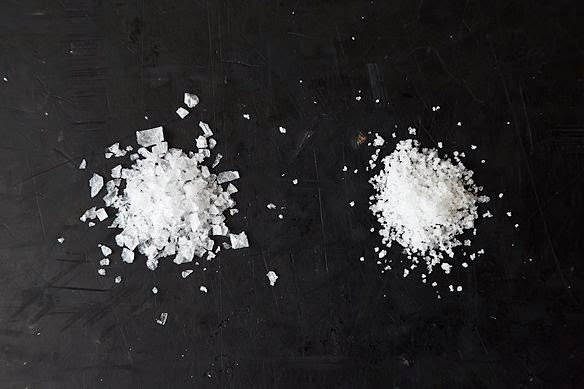 The fantastic world of Salt. Full page article in the paper today titled WHY TOO LITTLE SALT MAY BE AS BAD FOR YOU AS TOO MUCH. 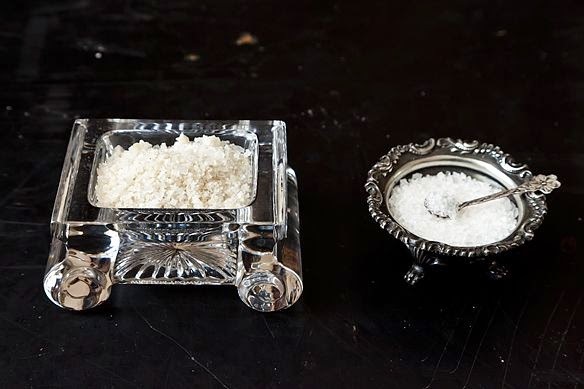 The one thing the article fails to mention is that your average, bog standard table salt is laden with Sodium Ferrocynadie and this is what is bad for you. 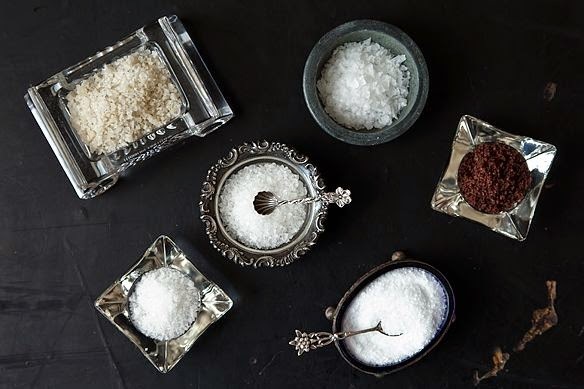 This is why you should go for Maldon sea salt or Himalayan pink salt as they are 100% pure salt without chemical additives. Musings of a Chef 2! Roast cauliflower in a Pave Vacchio DOP, smoked bacon basil and Italian parsley broth. Garnished with a trio of baby tomatoes, breakfast radish, spring onion and mustard oil. 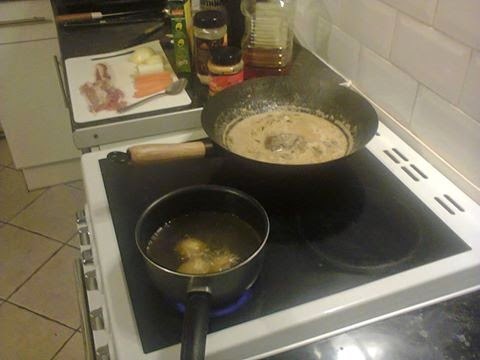 Cooking up a lunch of Penne pasta with a ragout of confit partridge leg, shallots, Chinese rice wine and Worcester sauce. Accompanied with a carrot, duck fat and egg yolk emulsion. 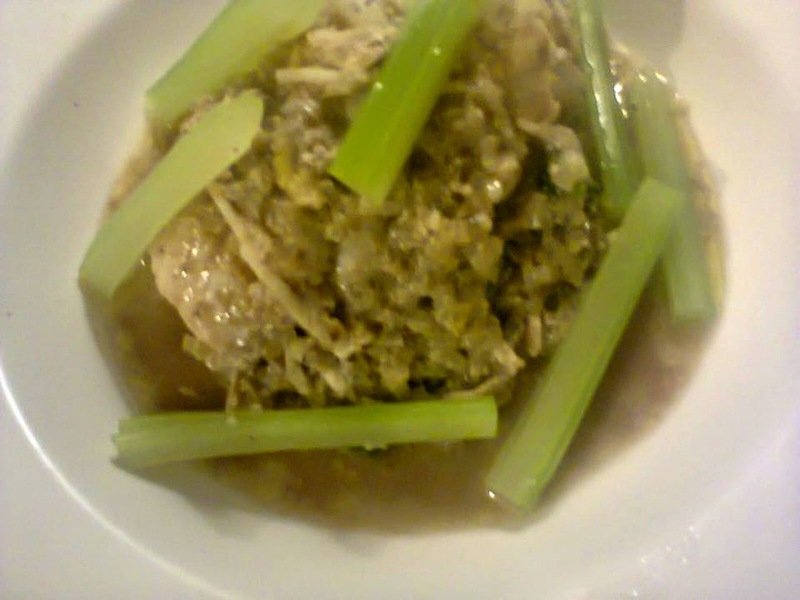 And the finished dish garnished with braised celery, coriander, basil and Asiago Allevo DOP Italian cheese. Mussels, black bean and sweet chili! 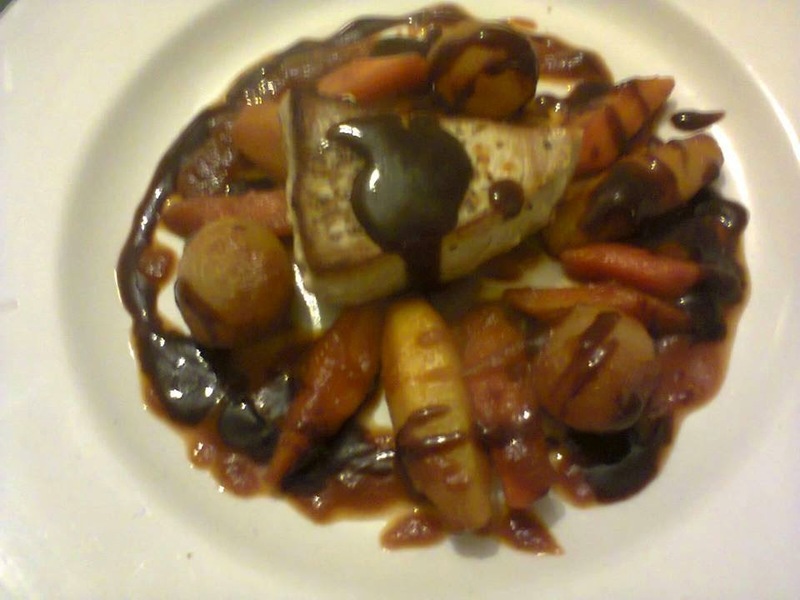 Fillet of Haddock in Asahi beer and fresh anchovy gravy. 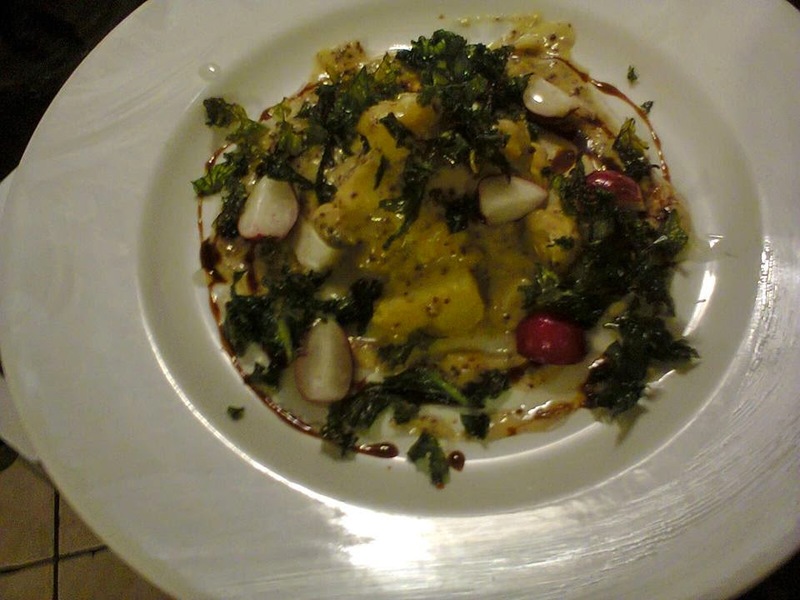 Served on a bed of buttered curly kale, chestnut mushrooms and spring onions. Garnished with braised celery. A composition of white crab meat, fresh anchovies, persimmon and chilled carrot mousse. Garnished with cucumber, radish and spring onion marinated in sesame oil, maple syrup and rice vinegar. Seasoned with smoked paprika and Chinese five spice. As with any kind of bird, be it chicken, turkey or grouse, the legs always take longer to cook then the breast. 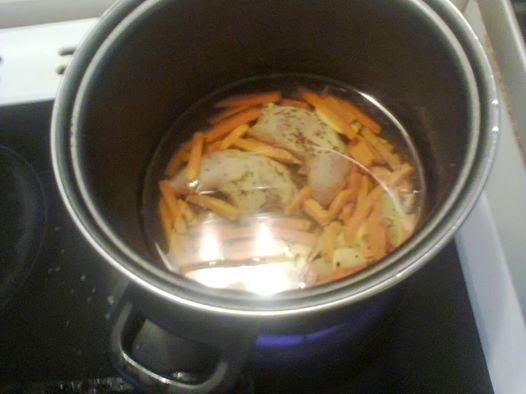 So here I have the legs of my partridge being slowly poached in duck fat with carrots and garlic. Partridge breast ( on the bone ) ready to be roasted with cauliflower, potatoes and shallots. 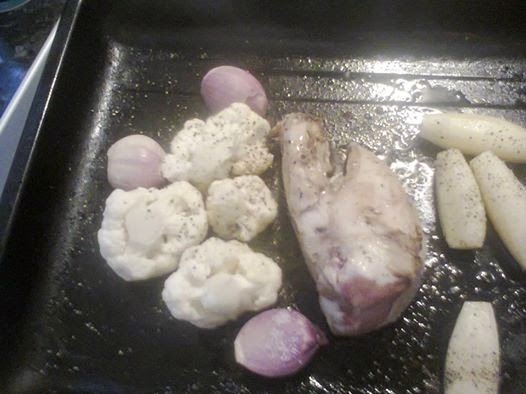 Roast breat of partridge, roast cauliflower, shallot and potato. Tamrind and muscavado glazed kaki fruit with basil. Black garlic and white truffle butter jus. I didn't have all the ingredients to make it 100% authentic ( ie....no okra ) but this is my dish in the spirit of a gumbo. Yes, it has the Holy Trinity of celery, onion and green bell pepper, garlic, chili ( I used red chili flakes ). Plus some celery seed, Greek oregano and tarragon. I have some king prawns to add when the rice is nearly. And I made my chocolate coloured roux with rice flour and ghee ( Indain clarified butter ). 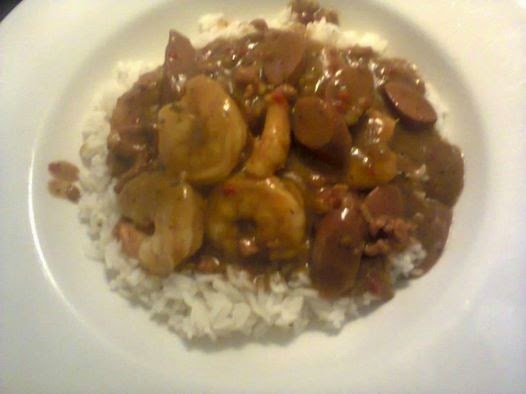 And here is my finished gumbo inspired dish served over boiled white rice. It also includes some smoked sausage. 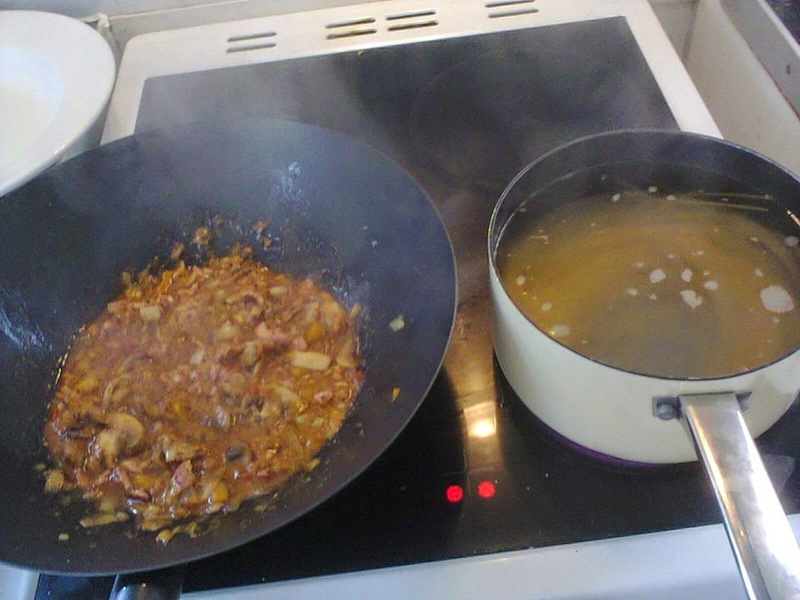 For dinner tonight I am making a ragu of minced pork, smoked bacon, mushrooms, red bell pepper, garlic, greek oregano and tomtoes. This is going to be served with Caserecce ( little scrolls ) pasta and grated peccorino cheese. 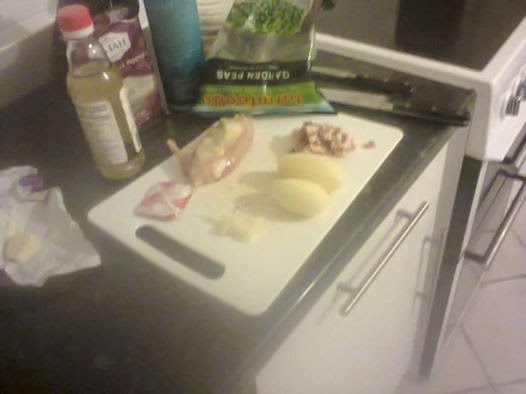 Making a butter, tarragon and garlic roast chicken breast with roast potatoes. Also a dashi and mirin broth with peas and bacon. 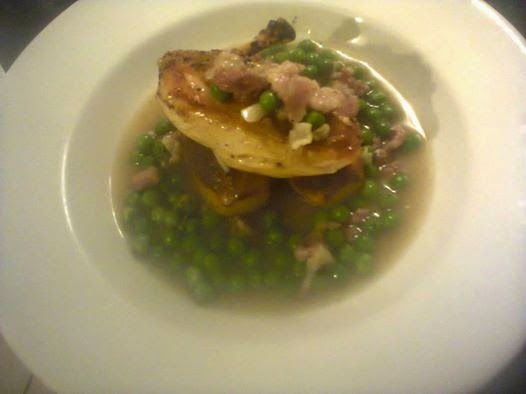 The plated butter, tarragon and garlic roast chicken, roast potatoes, dashi/ mirin broth, peas and bacon. 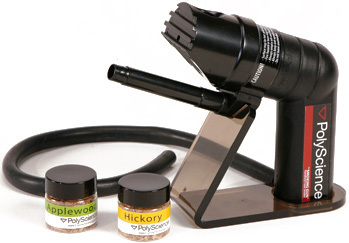 More explorations in the art of flavour and ingredient transformation. A salad of marinated haddock and vegetables ( sweet peppers, red onion, scallions, kale and cucumber ) marinated in olive oil, lime juice, garlic, ginger and jalapenos. Finished with smoked sea salt and sansho pepper. Tandoori lamb stew with carrot, swede, leeks and onions. Going to serve it with some buttery mango mashed potato. 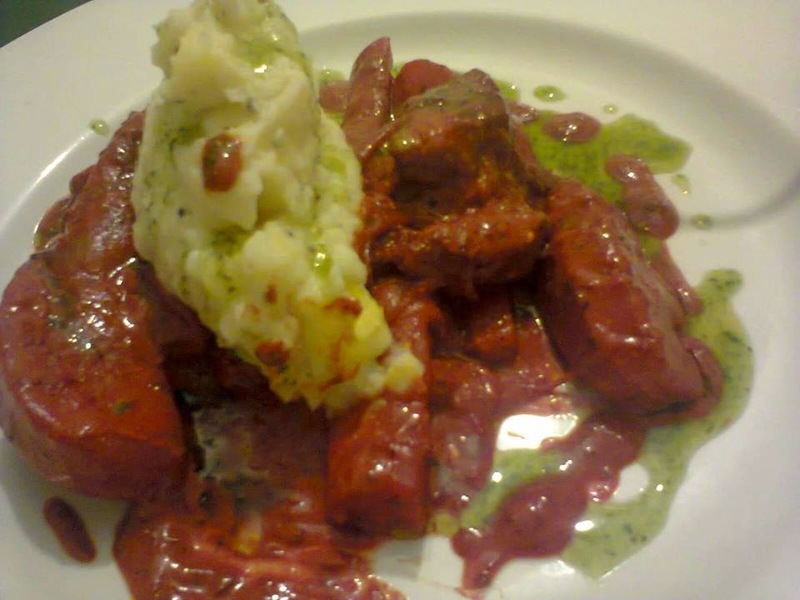 Tandoori lamb stew ( finished with sour cream ), buttery mango mash and coriander oil. 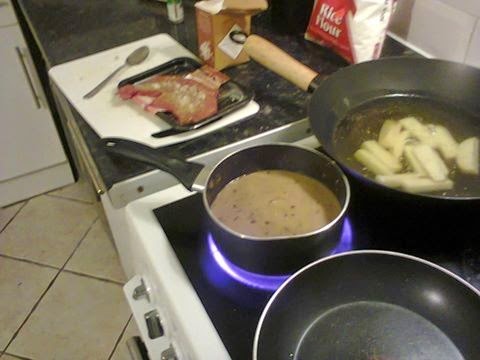 So tonight I'm cooking up Steak, chips and mushrooms. But you all know me, it isn't quite that simple. 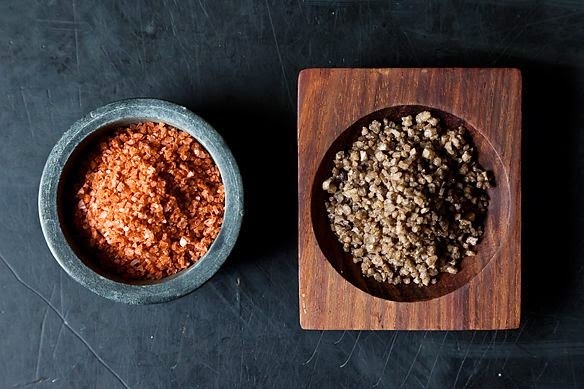 The chips are cooked in duck fat and the steak is seasoned with Maldon smoked sea salt flakes and Japanese sansho pepper. 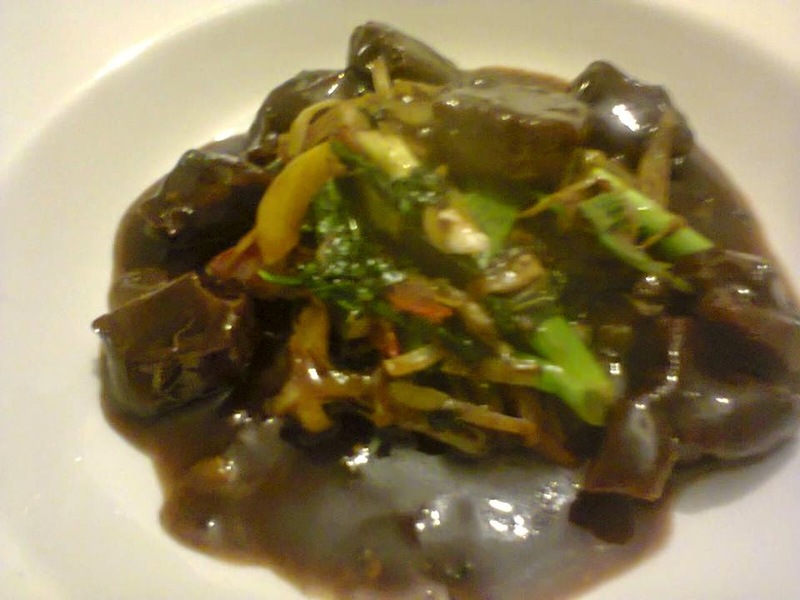 The mushrooms are actually in a mushroom and red onion gravy made with butter and rice flour. 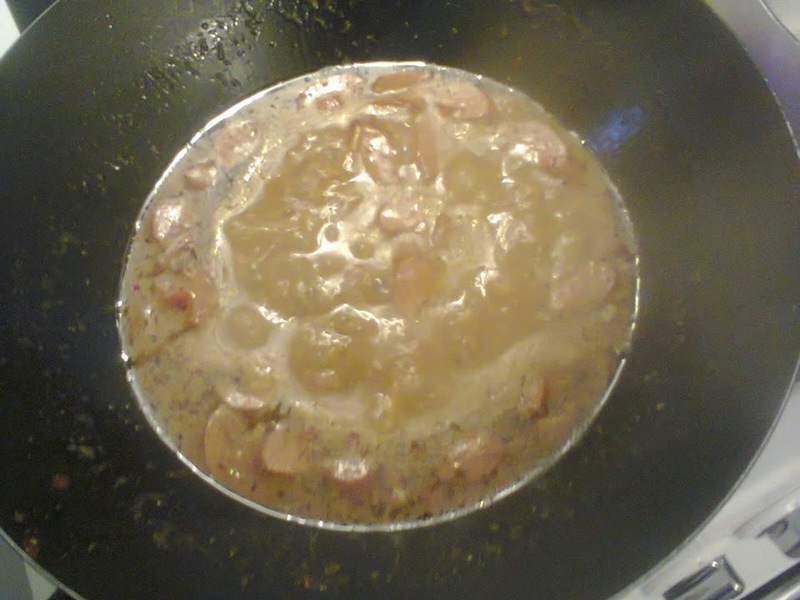 Also in the gravy is mustard powder, garlic powder, celery seeds and tarragon. 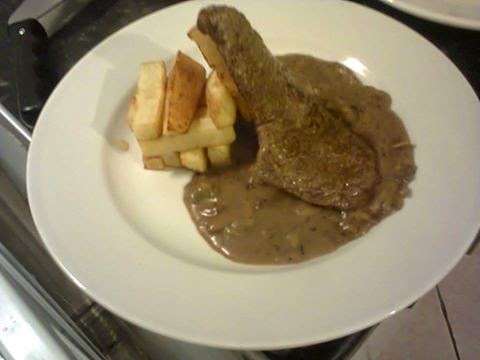 The finished Steak, chips and mushrooms. 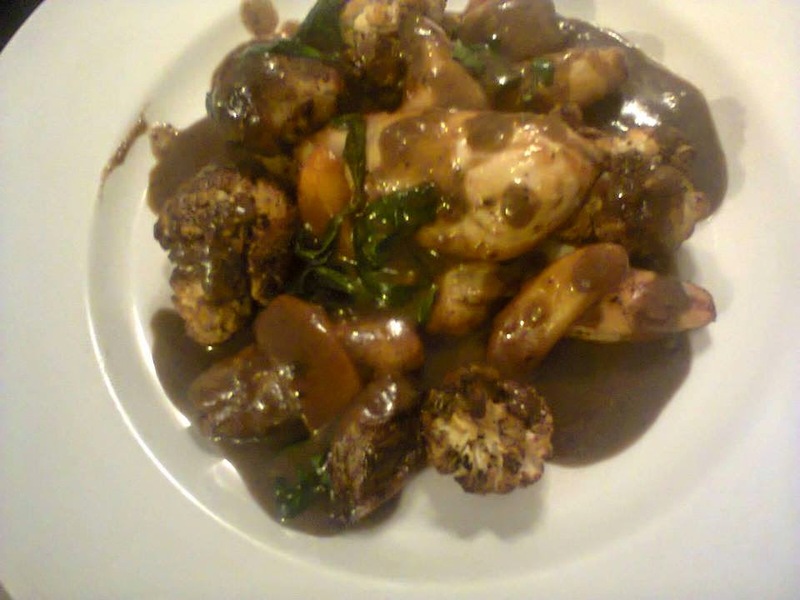 Added a little truffle butter to the gravy as a finishing touch. Hey. What's cookin'? Lamb with Szechuan pepper, birds eye chili, Xaoxing rice wine and maple syrup. Going to be served with a stir fry of sweet peppers, leeks, kale, mushrooms and scallions in a black bean and truffle butter sauce. 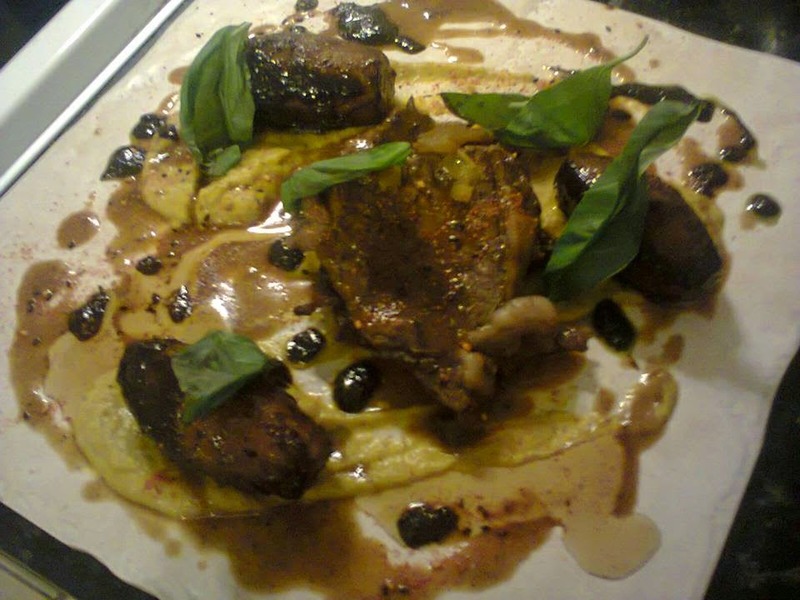 And this is the finished Lamb dish. Total experimentation and creativity that resulted in some out of this world flavours. 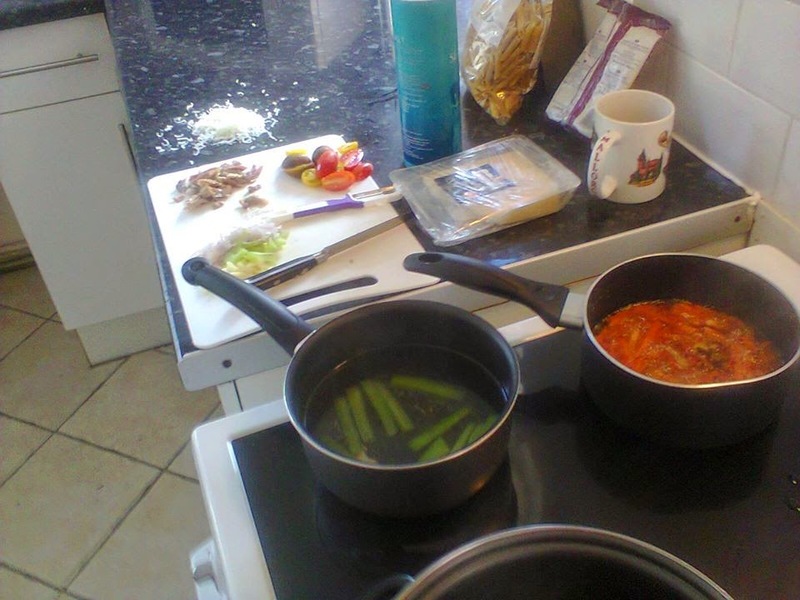 Cooking up some lunch of spaghetti with a sauce of bacon, peppers, mushrooms, leeks and tomatoes. 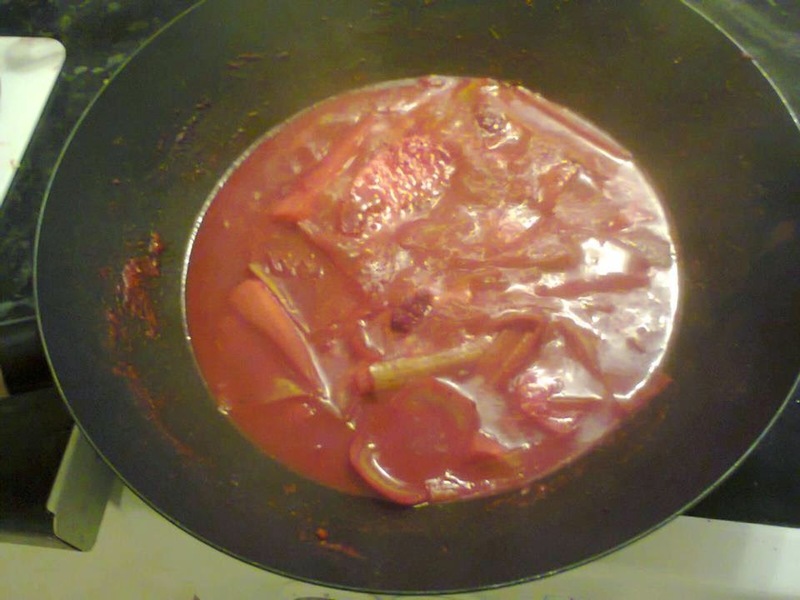 Although the tomatoes are in the form of my special tomato sauce. I always have a batch of that made up and portioned in the freezer. 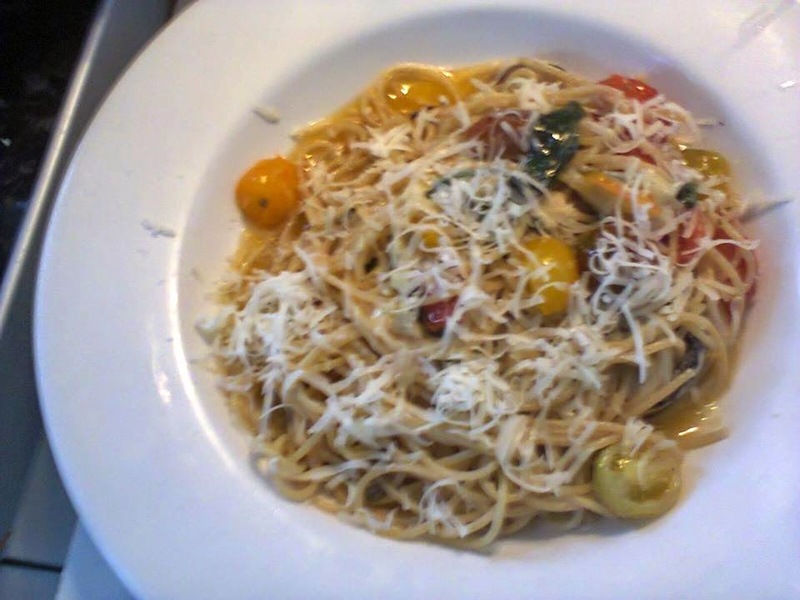 And the plated spaghetti finished off with some Parmesan and Monterrey Jack cheese. And a drizzle of Italian extra virgin olive oil. 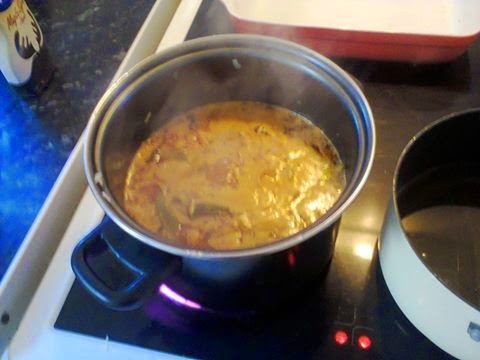 In the process of creating a cauliflower and mushroom soup with Tandoori spices. 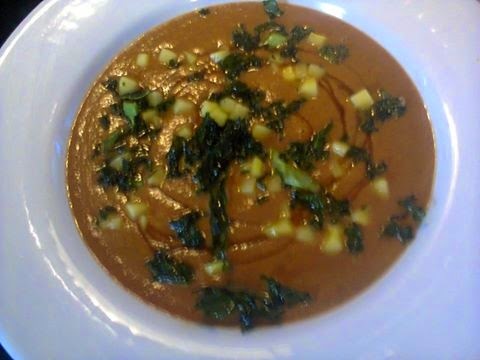 Cauliflower and mushroom soup with tandoori spices, fresh mango, maple syrup and crispy kale. Cauliflower and mushroom soup variation. 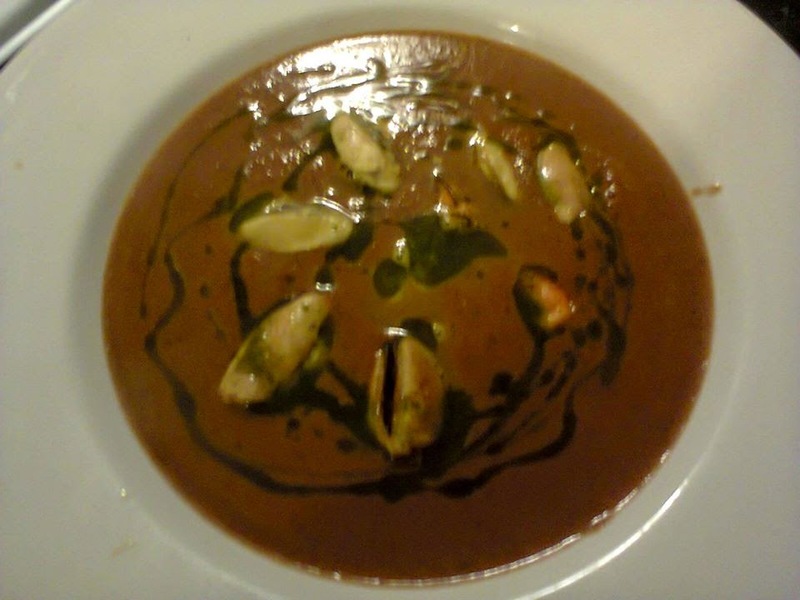 This time garnished with mussels and coriander oil. 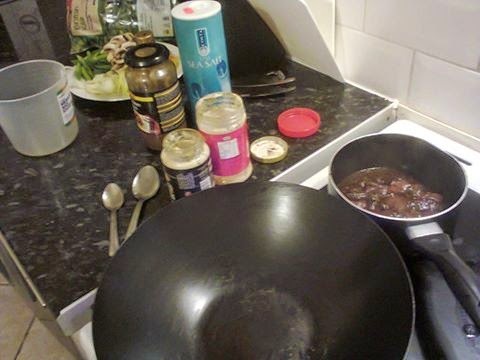 Cooking up some braised beef with coconut milk, fish sauce peanut butter, star anise and cassia bark. Serving it with roasted vegetables and bacon wrapped confit potatoes. And so here we have Beef braised with coconut milk and peanut butter, bacon wrapped confit potatoes, roasted veggies ( carrot, swede, onion and leek ), lime and spring onion butter sauce. 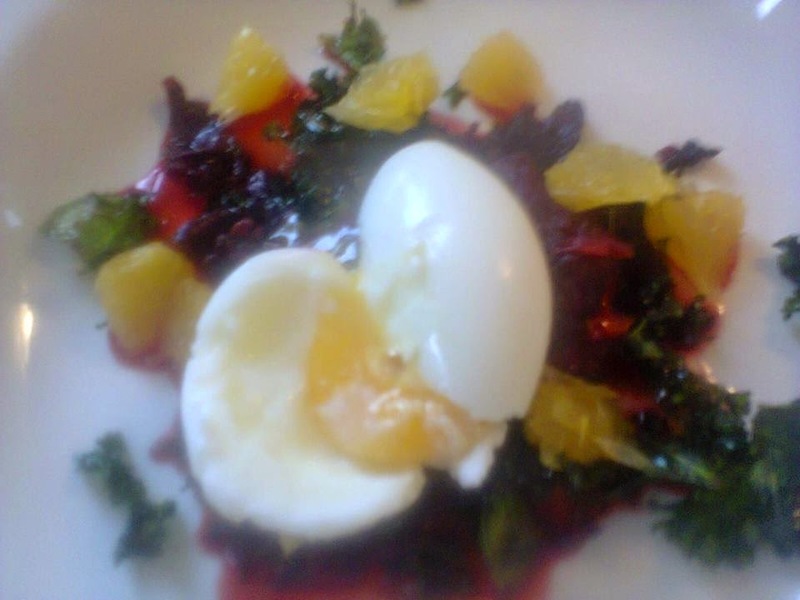 A little lunch of soft boiled hens egg with beetroot, orange and crispy kale. 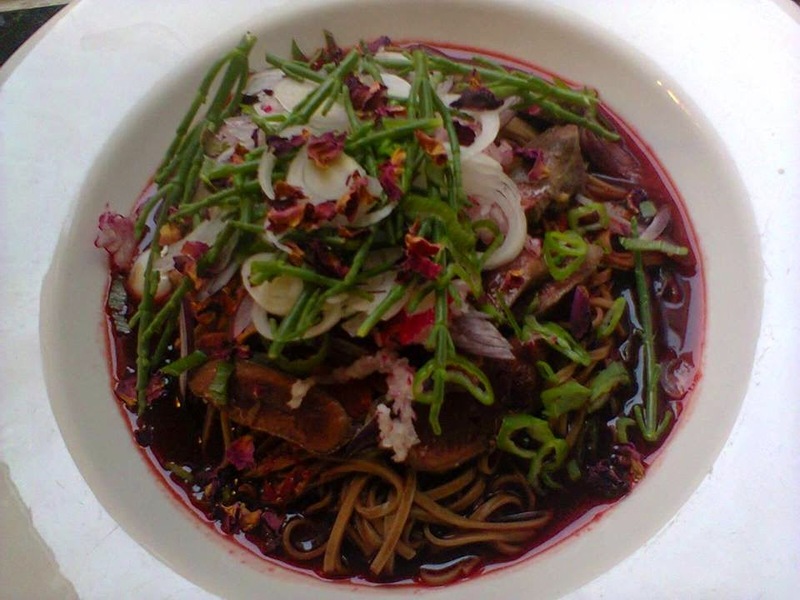 One of the elements of the dish is a ' relish ' of grated beetroot, sake, orange zest and juice and rice vinegar.